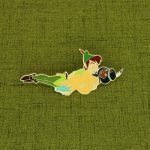 Plan to Play and Enjoy! Peachtree City is the right choice for you, in the largest city of Fayette County, Georgia, where active lifestyle meets relaxation and leisure. Hop on board on one of Peachtree City’s signature vehicles. Discover over 90 miles of multi-use paths, three sparkling lakes, two nature trails, three golf courses. It counts with a 2500 seat amphitheater and amazing shopping and dining. This is an entertainment city for all of you to view beautiful scenery and relax. Here at Peachtree City can enjoy of its boutique shopping style and delicious dining destinations. Whether you have lived here for years or you are visiting probably, just for a day or two, then even, there are many interesting things should do. What about exploring the Golf Cart Paths. With over 100 miles of tree lined, paved paths that extend throughout the entire city. It is really great for cyclists, dog walkers, joggers, and golf carts. And if you are super fans for Peachtree city, you may have the opportunity to get the customized Peachtree City coins as souvenir and business gifts. 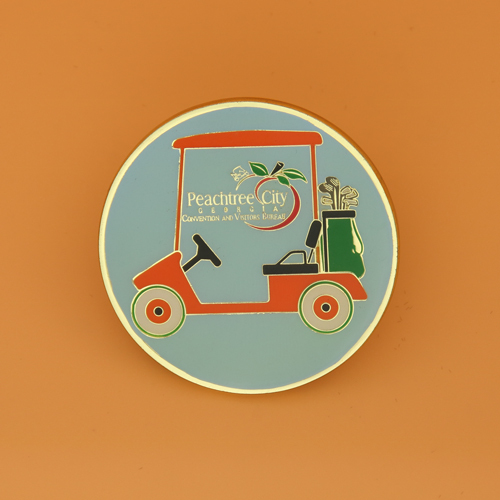 Peachtree City Custom Coins are customized for department of Convention and Visitors Bureau.The custom challenge coins are hard enamel coins, feature with the golf cart in orange color and a peach symbol painted on the slight blue background. 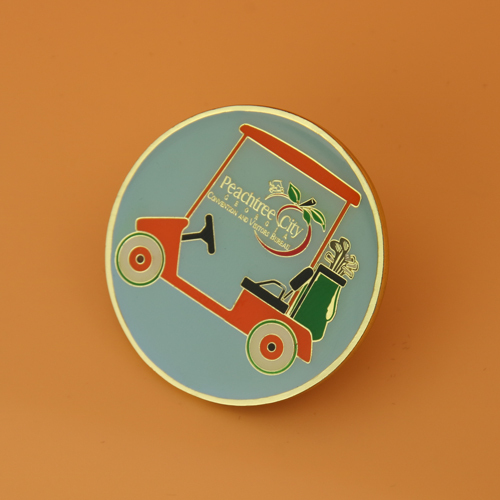 The design consist in a dual sided coin, and filled with four enamel colors, gold polished to a beautiful appearance. And the flip sides of custom coins are same as front. 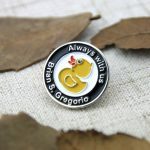 Great gifts and award to your excellent staffs and visitors with this cute and beautiful custom challenge coins.